While some people are difficult to please, this delightful stronghold will make it really tough for them to keep their stoic face. The Cookie Fortress is known for its ability to cause loved ones and dear friends to feel a burst of sweet joy. 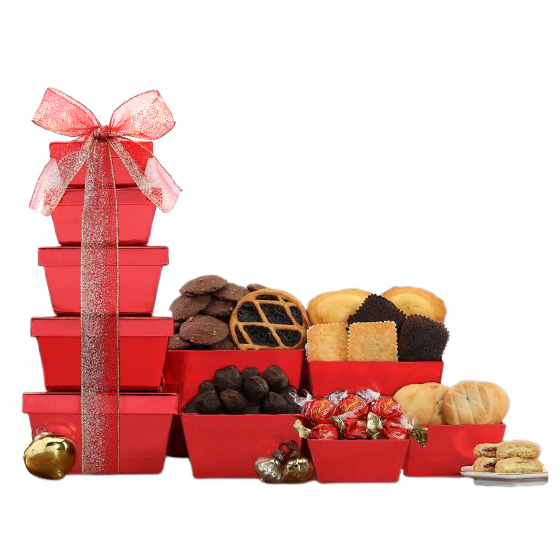 They'll indulge in a variety of gifts such as Chocolate Truffles, Raspberry Shortbreads, Almond Tea Cookies, Hazelnut Rolled Wafer Cookies, and many other delights that will build up the strength of your loving bonds. This holiday season, say I love you, welcome home, or congratulations when you send Cookie Fortress.